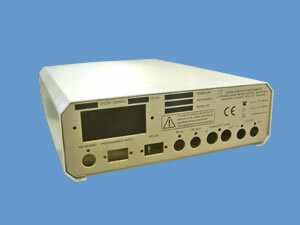 As specialist CNC sheetmetal engineers to the electronics industry we have years of experience in the fabrication of instrument enclosures for a wide range of applications such as computing, communications, defence, sport, electronics and scientific apparatus. Some of our work is detailed below. 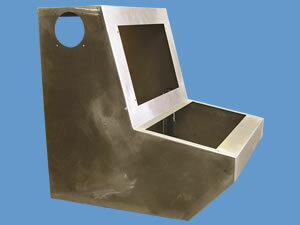 Mild steel fabricated sheetmetal electronic control console. These enclosures are bound for tennis courts around the country, including Wimbledon, where they will be used to house high powered post mounted flood lighting. 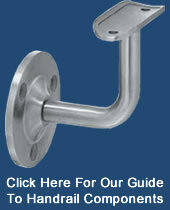 Fabricated from aluminium sheetmetal with internal and external powder coating. 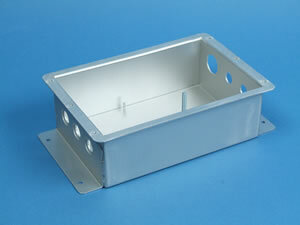 1.5mm aluminium sheetmetal enclosure with a speckled powder coat finish. 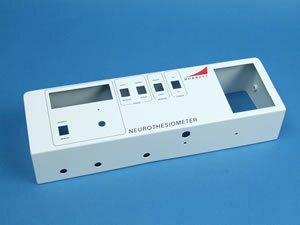 Powder coated 1.5mm aluminium outer enclosure with 2mm alocromed aluminium sheetmetal front panel with silk screen details. 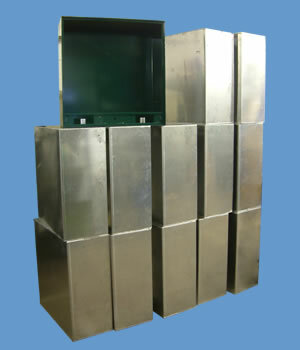 Part of a large production run, 2.5mm stainless steel sheet metal punched, formed, welded and supplied self colour. Wall mounted instrument panel. 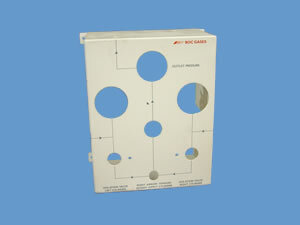 Punched, formed, welded and finished with a white powder coat and silk screened detail. 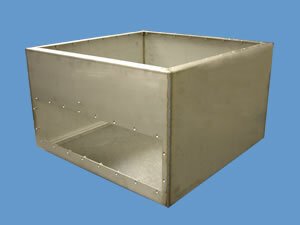 Folded and welded aluminium enclosure with fixtures. 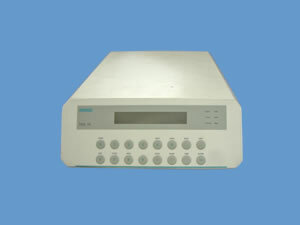 Enclosure and front fascia for medical instrument.